SAB, in Arnhem, Amsterdam and Eindhoven, the Netherlands. Office for urban and regional planning, urban design, landscape architecture and the environment. Position: Senior consultant, urban planner and designer, consultant in sustainable development. Registered as Urban Designer in the Register of Architects, registration number 2.890201.001 (since 1989). Chair of the Committee on Sustainable Urbanism of the Netherlands professional organisations of urban planning and design (NVTL and BNSP). Vice President of BNSP, the Netherlands professional organisation of urban planning and design. Bureau Member of ISOCARP, the International Society of City and Regional Planners. Co-author and co-editor of Sustainable Urban Design, The Next Step, Perspectives and Examples, second edition, Blauwdruk Publishers, Wageningen. Guest tutor in the course for graduate students and young planning professionals ‘Energy Planning and Sustainable Development’ at the International Summer School of the University of Oslo, Norway, 2009. Rapporteur and member of the Congress Team of the 45th ISOCARP world congress ‘Low Carbon Cities’ in Porto, Portugal. Spatial development strategy, urban design and landscaping of Hutten-Zuid and DRU Industriepark, the transformation and redevelopment of industrial heritage of two iron industries site in Ulft, commissioned by the Municipality of Oude IJsselstreek. Inspirational development strategy for the recreational and creative transformation of the Industry Harbour Area in ‘s-Hertogenbosch, for the Urban Planning Bureau commissioned by the Municipality of ‘s-Hertogenbosch. Strategic development plan Ooststellingwerf 2010-2030, spatial development strategy for the centre of Oosterwolde and for the touristic centre of Appelscha, commissioned by the Municipality of Ooststellingwerf. Team member and rapporteur of the ISOCARP Urban Planning Advisory Team ‘Livable Cities’ in Singapore and Shanghai commissioned by The Philips Center for Health and Well-being, July-December 2010. Spatial development strategy and urban design for the retail area Het Kwadrant in Tiel-West commissioned by Berginvest Projectontwikkeling, Zuidwolde, and Tiel SCW Social Housing Cooperation. Combined retail and spatial development strategies for the historic central areas of the cities of Venray, Wolvega and Oostburg, in collaboration with and commissioned by MKB Reva, consultancy for economic research and development. Preselecting the (500+) entries for the Philips Livable Cities Award for The Philips Center commissioned by Health and Well-being, November 2010-April 2011. Publication: Martin Dubbeling and Michaël Meijer. ‘Towards Low Carbon Cities’, in ‘Scape 2-2009, the international magazine for landscape architecture and urbanism, page 40-45. Publication: Martin Dubbeling and Michaël Meijer. ‘The Netherlands 2020, Boundless Policies towards Low Carbon Regions and Cities’, in ISOCARP Review 05 Low Carbon Cities, Chris Gossop and Fernando Brandão Alves (ed. ), Routledge 2009, page 58-79. Lecture: ‘Seminar on Sustainable Urban Development’, Energy and Sustainable Development, International Summer School, University of Oslo, 23 July 2009. Seminar: ‘Technical Seminar Sustainable Urban Design’, 45th ISOCARP Congress Low Carbon Cities, Porto, Portugal, 18-22 October 2009. Lecture and workshop: ‘Sustainable Urban Development’, Strategy workshop for the Norwegian Public Roads Administration, Kristiansand, Norway, 5-6 May 2010. Publication: Michaël Meijer, Martin Dubbeling et al. 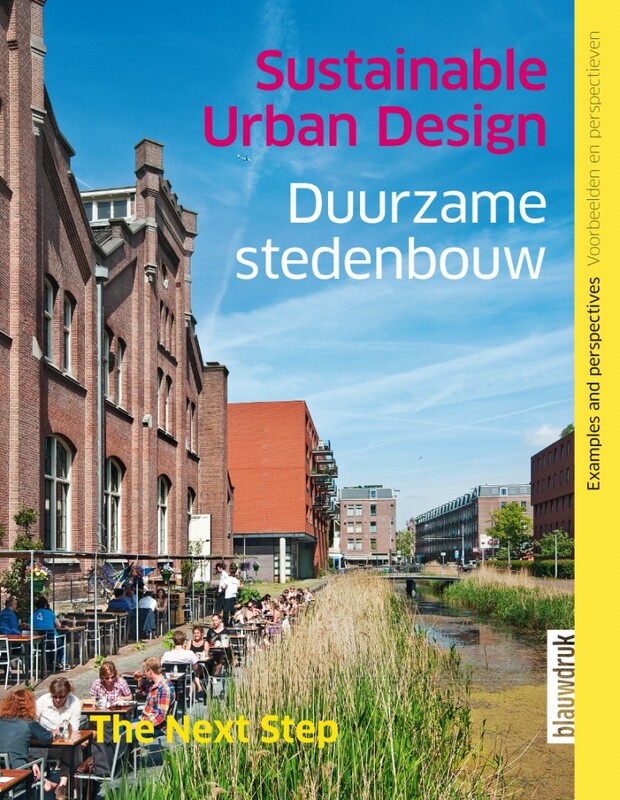 ‘Sustainable Urban Design, The Next Step’’, Blauwdruk Publishers, Wageningen, September 2010. Presentation: Results of the YPP Workshop New Future for Kibera’, Nairobi, 46th ISOCARP Congress Sustainable City – Developing World, UN-HABITAT, Nairobi, Kenya, 19-23 September 2010. Publication: Jeremy Dawkins, Martin Dubbeling et al. ‘Livable Cities in a rapidly urbanizing world, ISOCARP UPAT Report for the Philips Center for Health and Well-being’, December 2010.